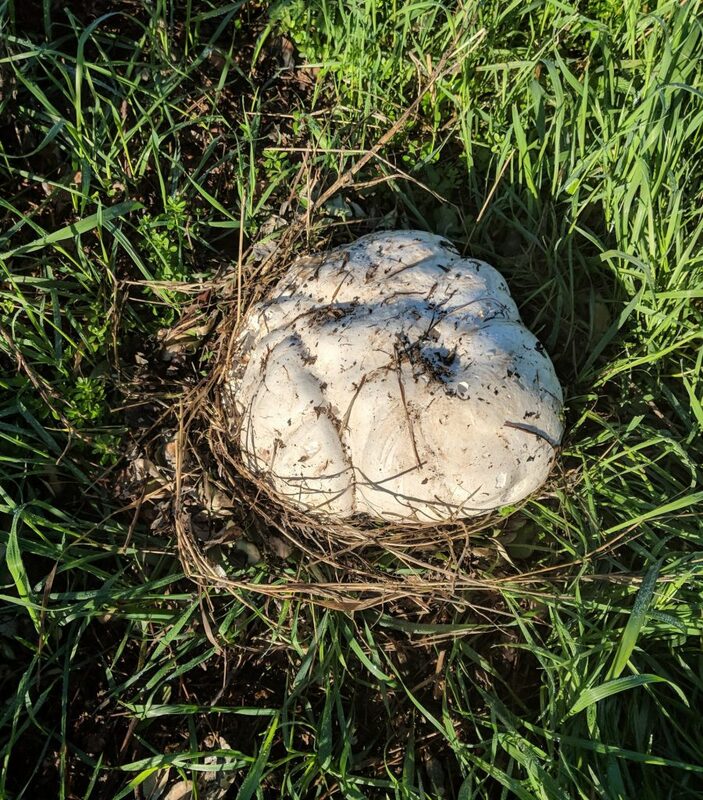 I finally found my first giant puffball and then I thought: How shall I cook it? I have seen on Instagram that many foragers cook it as a schnitzel, with a crispy breadcrumb coating. Searching for recipes I came across a few that used mushroom slices as a pizza base. Here’s my giant puffball mushroom pizza base recipe. Using vegetables as a substitute for a traditional pizza base can be great for people who are intolerant to gluten or prefer to lower their carbohydrate intake. I have featured vegetable-base pizzas before (aubergine base pizza), but this is the first time I have ever cooked with a giant puffball (Calvatia Gigantea). In a bowl Sprinkle the giant puffball mushroom slices with salt and freshly ground pepper, and dot them with a few drops of lemon juice. Rest for at least one hour. Preheat the oven at 200 degrees Celsius. Drizzle about one tablespoon of oil on a baking tray or baking dish, place the mushroom slices to cover the bottom completely and drizzle with the remaining oil. Bake for 20 minutes. Take out of the oven and spoon the tomato passata over the mushroom base, then add the mozzarella pieces and sprinkle with dried oregano. 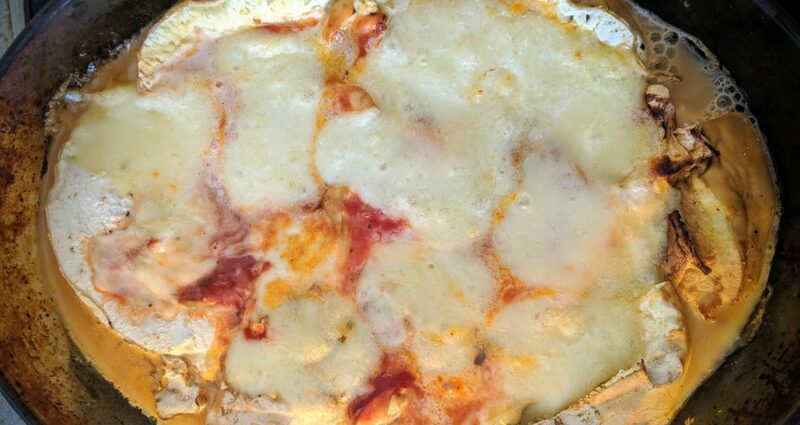 Bake for a further 5 minutes or until the mozzarella has completely melted, then serve.